This is the kind of story which always seems to come up at least once every year or so, but it’s always nice to see. Last night BBC 2’s Horizon was entitled “Are Video games Really That Bad?” It was a really good, non sensationalist look at videogames and how they influence you, because lets be honest here, they do. It was a fascinating insight into gaming, especially the part of the show which showed how one videogame was improving the quality of keyhole surgery and some doctors are now playing games as they feel it’s improving the quality of their care. 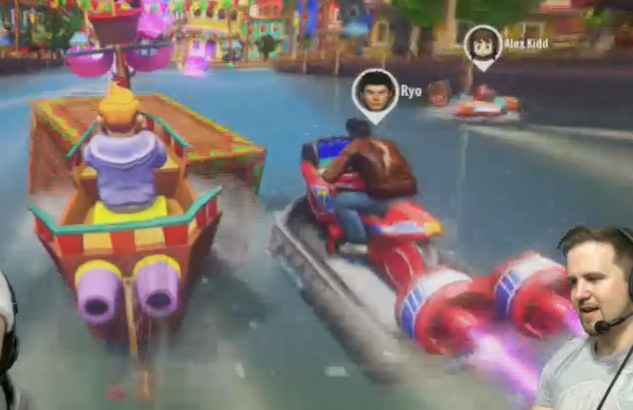 However, more closer to home was the segment near the end of the show, they wanted to test how games influence non gamers, so they got together a group of pensioners who don’t play games, and asked them to do a series of tests involving memory and concentration, they then asked them to play Sonic & All Stars Racing Transformed for 20 min per day, for 5 weeks. After which they performed the same tests and according to the results, their memory and concentration skills had all improved by 30%. So there you have it, you now have a medical reason to play ASRT, but honestly you should be playing it because it’s a bloody good game. Can we have a third one now please? You can watch the show on BBC’s iPlayer for the next month. Those outside of the UK may need to fiddle with their location settings/proxi time. Now where did I put my keys…? 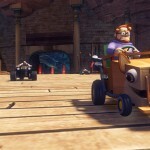 All Stars Racing TransformedASRTBBCHorizon: Are Video games Really That Bad? 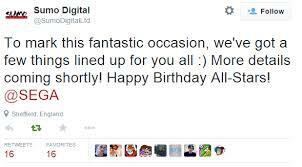 Today marks the 5th anniversary of the original Sonic & Sega All Stars Racing, to celebrate this, Sumo Digital posted some really interesting messages a short while ago. Well that’s certainly caught my interest. 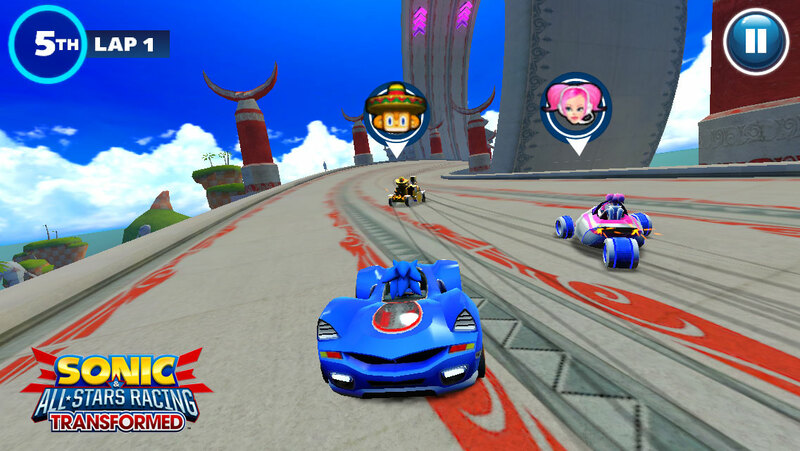 No idea what they have in store at the moment, though personally I would love to see a sequel to the awesome All Stars Racing Transformed. Keep checking TSS for more info as we get it. 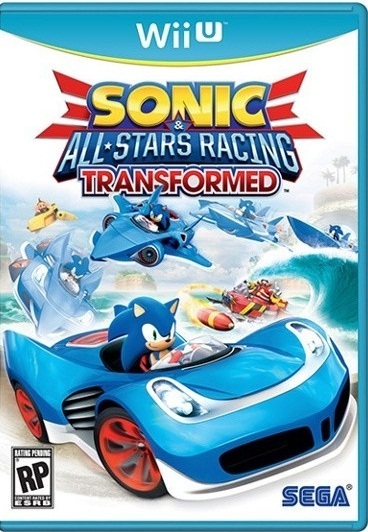 Come May, the Japanese version of Sonic & All-Stars Racing Transformed will be released, and if you happen to live in Japan and pre-order, you get a sound track CD. However, a recent listing posted on HMV.jp would indicate that the OST is to also get a full retail release. In fact several Japanese retailers have recently posted a listing for an ASRT soundtrack on their websites. Details are that it’ll be a single disk release, and its due out on May 14th. 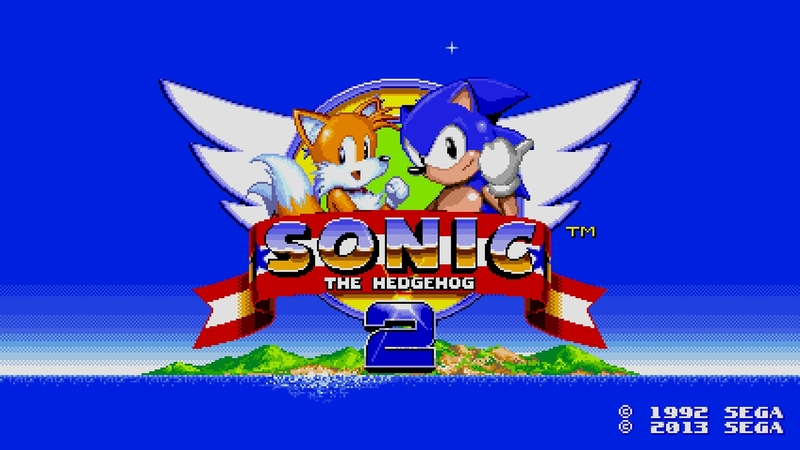 Despite a strong demand for a physical soundtrack release since the games début here in the west, there doesn’t appear to be any plans to bring this over to the US or Europe at this time, which isn’t unusual for Sonic OST releases. But if that changes we’ll be sure to let you know. 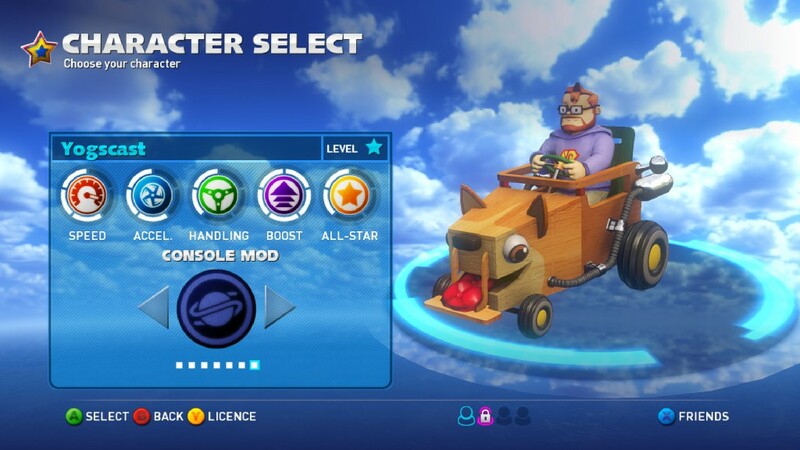 For PC owners of Sonic & Sega All-Stars Racing Transformed. The long awaited Ryo Hazuki DLC is now live. 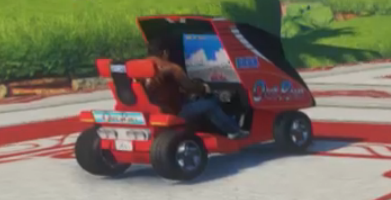 Ryo drives around in vehicles based on various classic Sega arcade machines which are also found in the original Shenmue title. If you fancy picking up this one, it’s very reasonably priced at only 99p. And before you ask, So far only the PC & Mobile version of the game are to get Ryo at this time. However if this changes we’ll let you know. 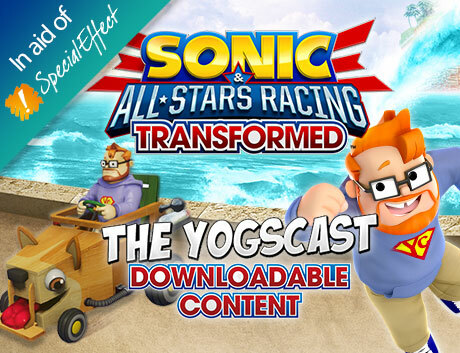 Sumo Digitals absolutely brilliant Sonic & All Stars Racing Transformed managed to win the hearts of many fans as well as critics. If you’ve read our review of the game, or played it, you’ll probably know that it’s quite an exceptional racing game that will find the weak and crush them! CVG have announced their nominations for this years Golden Joystick awards and ASRT has been nominated. Oh my! What category you may ask? Multiplayer! But I think it’s got a chance to win, it’s only up against. Battlefield 3, Halo 4, Black Ops 2, StarCraft 2, Fifa 13 and… Borderlands 2… as well as a few other popular games. Hmmm, you know, I like it’s chances of winning /blind faith. And win it shall! *Puts on the music from the Golden Axe stage* The winner is decided by public vote, come on you lot, get on there and vote, we shall crush the other games, see them driven before us and hear the lamentations of their women! You can vote for the game here. The PC version of ASRT got an update a few hours ago, and brought with it a new character as well as a few changes and bug fixes to the game, and it was given away for free. 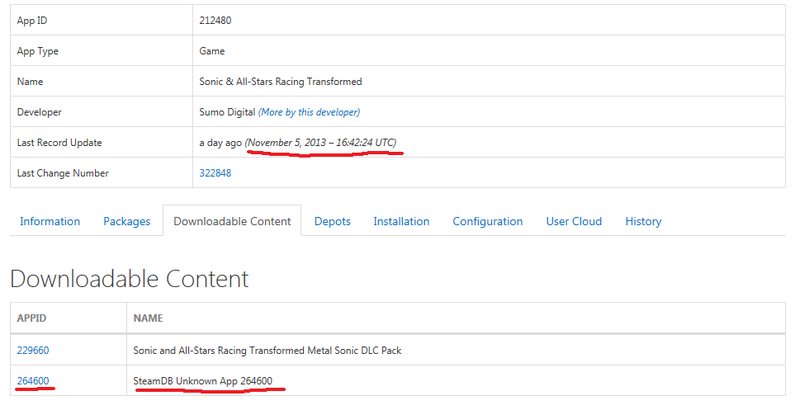 However, despite this, some people have decided to complain, which has prompted S0L to announce that development on ASRT is still going ahead and that the character they got approval for a few months back is not General Winter and that the game will be reciving more DLC in the future. At both SSMB & the Sega forums, S0L has stated the following. What does that mean? 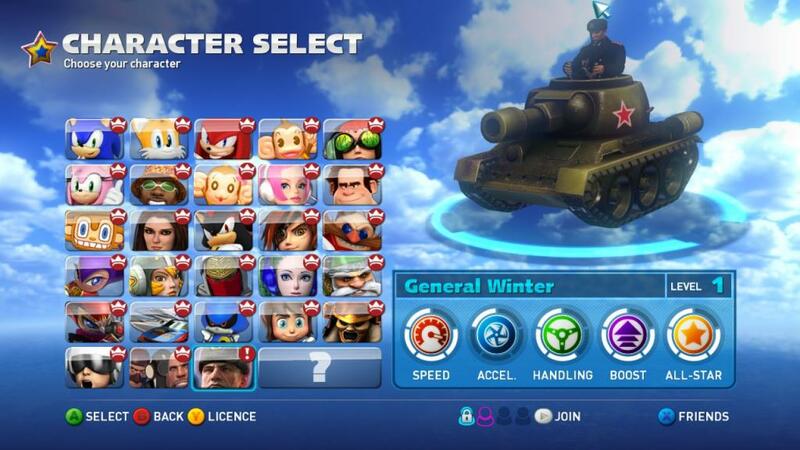 It means that General Winter has been added due to Sega’s takeover of Relic, he is not the final character/update to be added to ASRT. ASRT is still reciving support and that there is at least one more character in development and it’s one of the characters who were voted for by the fans several months ago. 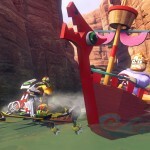 Yesterday, Sumo Digitals Steve Lycett began dropping hints that ASRT would be getting a new update. For PC owners, the update has just gone live and… ASRT has a new character, and you will not believe who it is, because it’s technically not a videogame character, or a real person, in fact, if my understanding is correct. It’s a characterised representation of a metaphor. The character is called ‘General Winter.‘ Who is General Winter? Well, we need to do a bit of history. In the past, nations have tried and failed to conquer Russia in times of war, famously, Hitler and Napoleon attempted to invade and suffered heavy losses and defeats. Why? Simple. The winter. Russian winters are notoriously cold. Over the years, as nations have invaded Russia, once the winter hits, their resources and supply lines are heavilly drained and eventually the invading force becomes crippled and has to either retreat or surrender. Hence the name ‘General Winter.’ General Winter is a metaphor, it’s the name given as the reason why well known military leaders in the past have failed to conquer Russia. 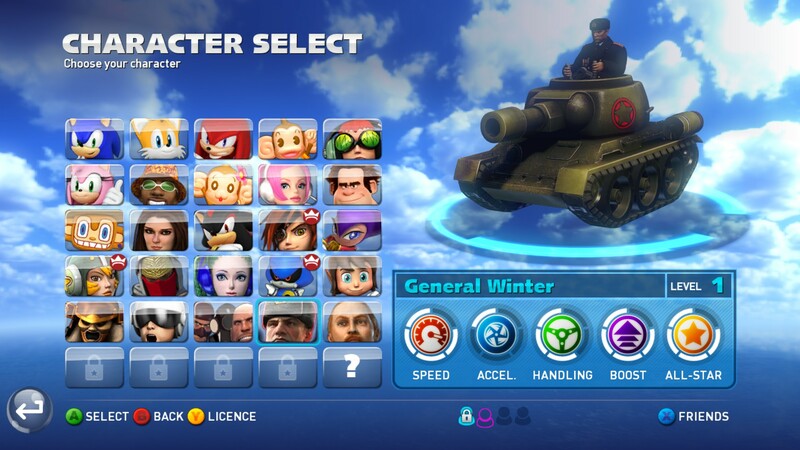 Now… in the game Relic game Company of Heroes 2, (Relic being a studio recently purchased by Sega following THQ’s collapse) there is indeed a character called ‘General Winter’ Who is based off this metaphor. So ASRT’s newest character is from Relics game, who is a characterised incarnation of a metaphor based off a real life phenomenom. When you put it like that it’s simple. 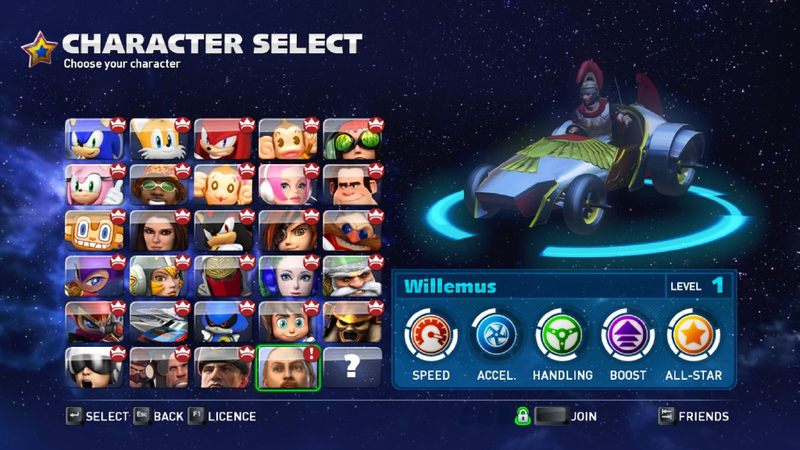 Before anyone asks, it would appear that this character is exclusive to the PC version of the game. 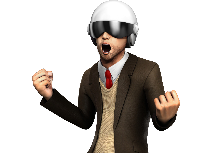 In other news, ASRT is free to play this weekend on Steam. 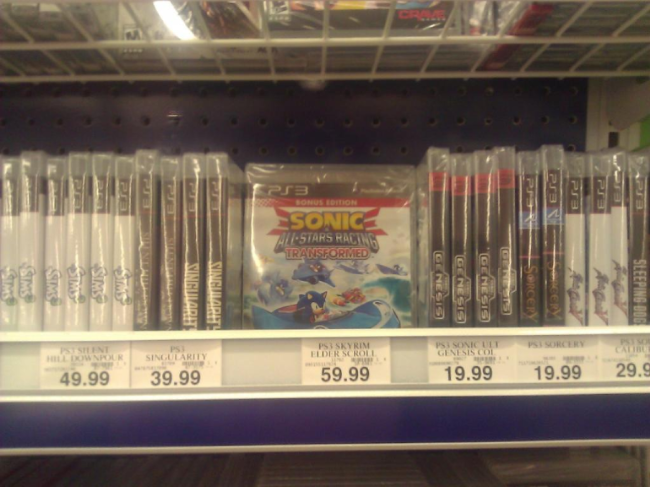 Source: Sonic the Hedgehog Facebook page & Thanks to SSMB member Xenn for the image. 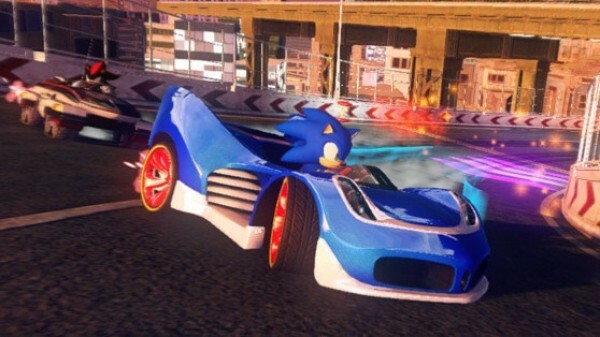 Sonic & All Stars Racing Transformed DLC news coming tomorrow? In other posts made by S0L over at the Steam forums, S0L has dropped other hints. In addition to this, several people who own the PC version of ASRT have noted that there has recently been a number of changes made to that game which would indicate an update is on the way. 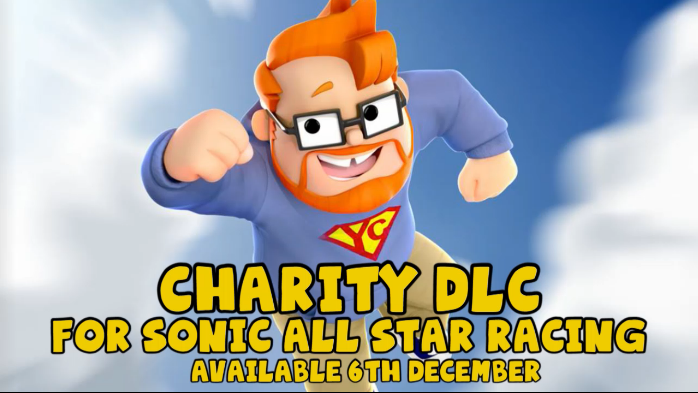 Could it be that we might finally get that DLC news we’ve been waiting for? Let the speculation begin! 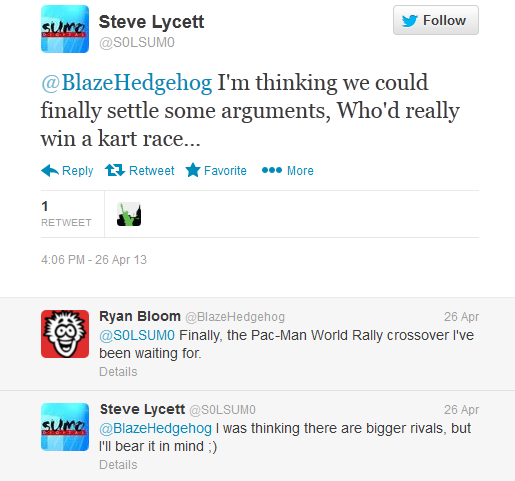 Sumo Digital Hints a Possible Mario & Sonic Karting Game? 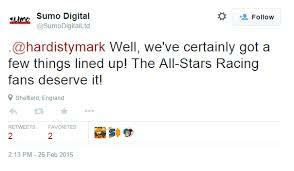 Back in April, Sumo Digitals Steve Lycett took to twitter and said – Having a beer, thinking of how we’d follow All-Stars Transformed… In that conversation he also said this. 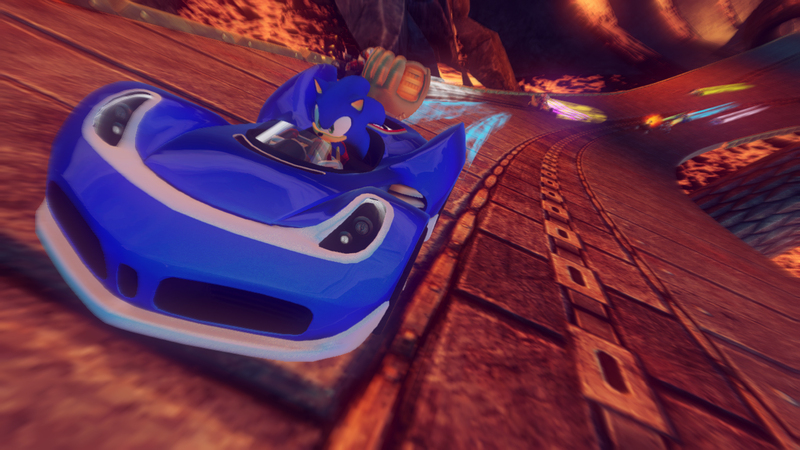 Continue reading Sumo Digital Hints a Possible Mario & Sonic Karting Game? The updates feature lots of tucks and tweaks, should address many of the issues you’ve reported to us and also pull in improvements we’ve been doing on PC. 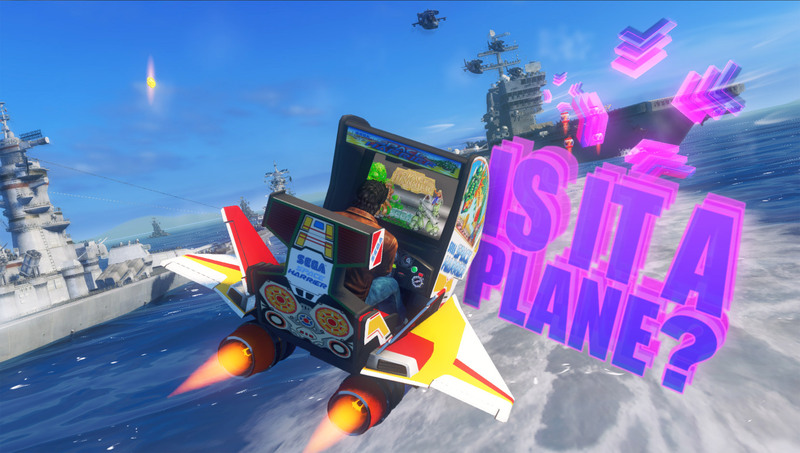 Don’t expect any extra tracks or characters though, just before you ask…! 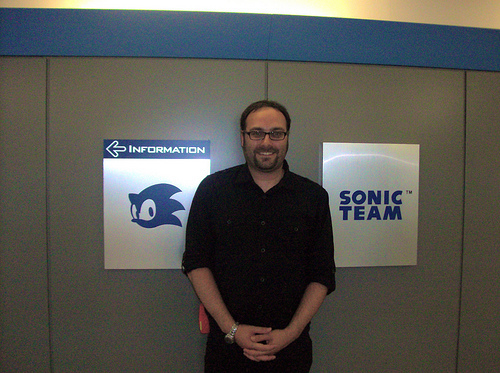 Those are the words of Executive Producer Steve Lycett on the Sega forums yesterday. The PS3 & Xbox 360 versions of the game are to get a second patch next Monday which will follow a little later on the Wii-U. No patch notes have been released just yet. However from the language used, (“tucks and tweaks”) it sounds like as well as a bug fix, the patch might also alter some of the balancing or even difficulty of the game. 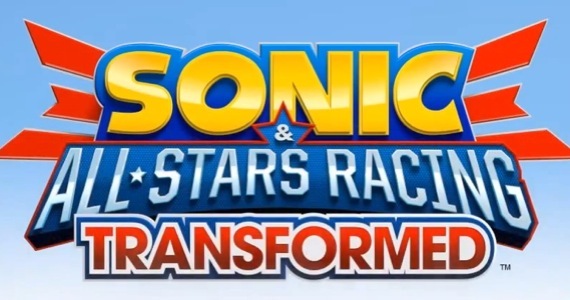 The UK & Ireland toy chain SMYTHS has announced that starting from February 9th, Sonic will be touring selected stores in the in order to promote Sonic & All Stars Racing Transformed. So if you fancy meeting Sonic this month and want to go to a toy shop, check out the dates and the times after the break. Last year, Meccano released a series of Sonic construction toys. 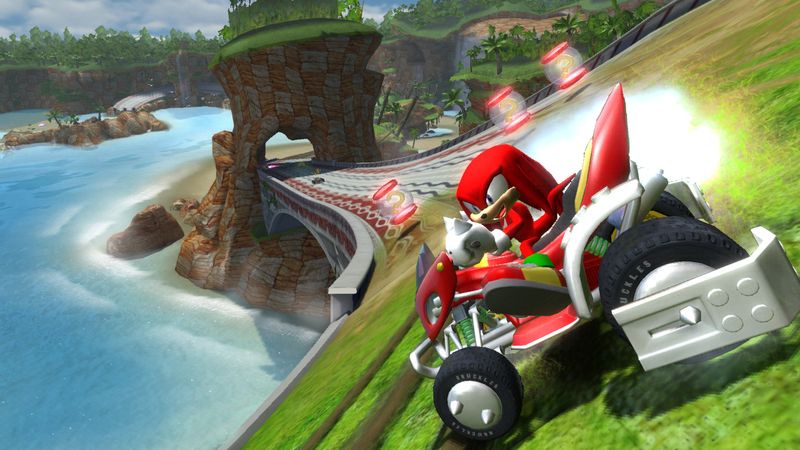 Sonic & Knuckles in their ASR cars, and several playset’s based on various zones from Sonic’s 20 year history. According to Toy World Magazine, Meccano is expanding the range of toys with some new additions. 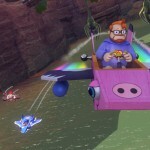 Sky Sanctuary is going to be added as a playset and another stage which is just labeled as ‘Canyon.’ The magazine claims that these stages will be based off ‘Sonic and Sega All Stars Racing,‘ but, considering Sky Sanctuary isn’t in the original ASR, it might be reasonable to assume that ‘canyon‘ refers to the Dragon Canyon from ASRT. 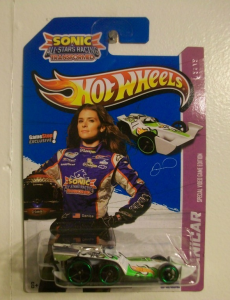 On October 10th 2012, Sega announced that anyone who purchased a copy of ASRT would receive a free Hot Wheels Danica/Danicar toy from selected retailers. However, as ASRT’s release date drew closer, many had assumed that the promotion had been cancelled as nothing more was mentioned about it. 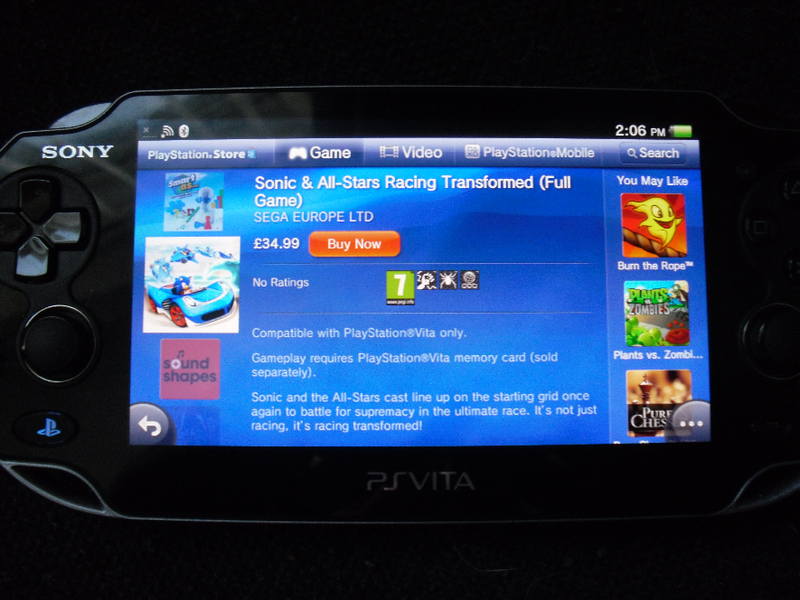 It has been 25 days after ASRT released on the 3 main consoles, and a week after it’s release on the Vita here in the EU. 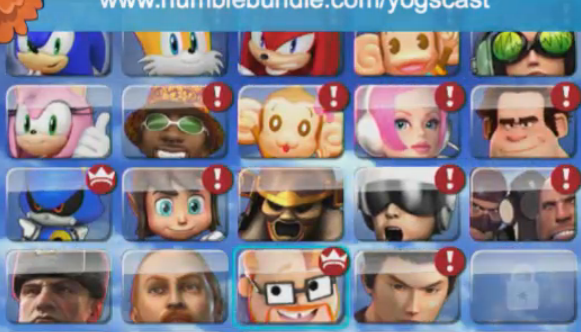 Sega has now given details as to how you get the toy… You have to buy the game again! US ASRT Owners, Your Patch is Ready! S0L to the rescWiiUe! … … Don’t blame me for the terrible pun it was Shadzter’s idea! Well guys, it’s taken nearly two weeks. 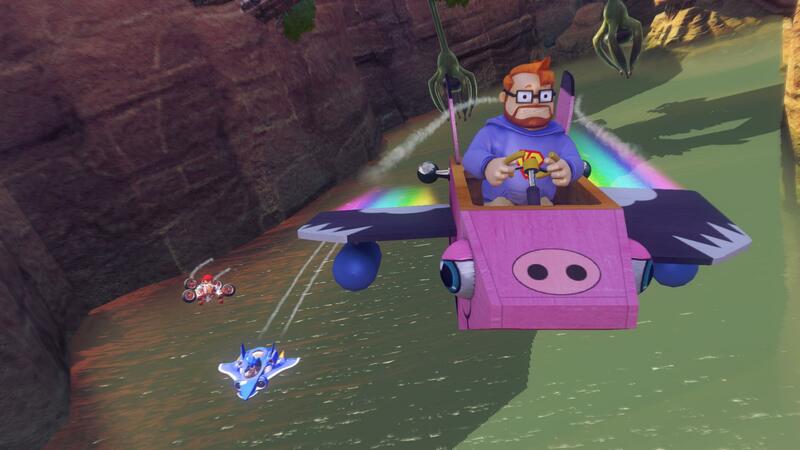 But Nintendo might have finally decided to release the ASRT Wii-U patch in US territories. 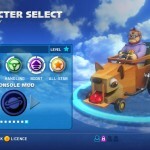 Ever since launch, US owners have been plagued with difficulties which have prevented content from being unlocked and the ability to actually beat the game as well as issues with the Wii-U exclusive modes. But for EU users, no such problems to report, the fix has been live in the EU since the game launched here last week. However, according to Executive Producer Steve Lycett, it’s time to grab your 70’s trousers and party! For people living in the US, the new patch will be live in a matter of hours! Continue reading US ASRT Owners, Your Patch is Ready! Live in Europe? Own ASRT Wii-U? Patch Away. If you live in the US right now and own a Wii-U copy of ASRT, it’s not been the smoothest of experiences. However for people living in the EU, it seems that we may never experience the same problems that US owners are currently facing. The update currently available for EU owners of ASRT doesn’t cause the problems that US owners are currently facing. Continue reading Live in Europe? Own ASRT Wii-U? Patch Away. 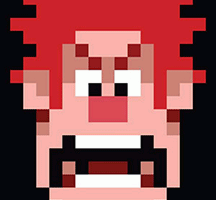 You might have noticed we’ve been following the movie Wreck-It Ralph with a keen interest, mainly because some blue hedgehog guy that you all seem to like is in it along with a bloke in a red suit? Think he’s called Santa Eggman or something? That and it actually looks like a pretty cool movie, but mainly, the hedgehog and the guy in the suit. Today a new voice actor featurette was posted online which contains a lot of new clips from the movie including a few blink and you’ll miss it moments. At 1:27 you’ll just barely see Dr Eggman going for a walk with a mysterious dark figure… then at 3:23 a certain someone loses his rings. As I said, blink and you’ll miss it. As we reported earlier today, Sumo Digital were at Manchester’s Play Expo showing off ASRT and talking about the making of the game. Whilst we got confirmation of MeeMee being in the roster and a few other tid bits, we’ve now got nearly half an hour of footage from the presentation… Needless to say, this contains A LOT of spoilers. Judging by how the video cuts off in the second part, it would seem that there might be more to come. Time to go Ape! MeeMee Joins ASRT! 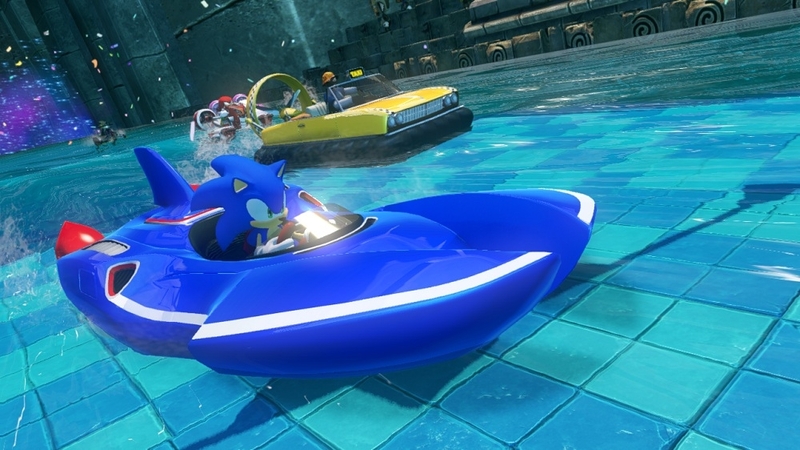 The Play Expo event was held in Manchester this weekend and Sumo Digital were due to give a talk about the making of Sonic & All Stars Racing Transformed as well as a small Q&A session. 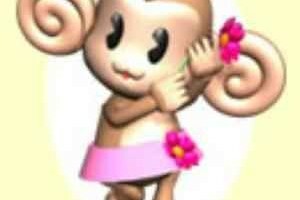 Earlier reports coming from the event suggested that a new build of the game was shown that included several new features as well as the first appearance of a new racer, MeeMee from Super Monkey Ball. Continue reading Time to go Ape! MeeMee Joins ASRT! Games Radar have uploaded a short video showing gameplay footage of ASRT on the Wii-U, however unlike your typical gameplay video, this one includes a picture in picture of the controller, giving you an idea as to what appears on the screen as well as how one controls the game. In terms of the game itself, the only criticisms I can spot are from the frame rate of the early build. The main problems seem to be with the controller itself. The screen is ‘distracting’ and that it’s ‘hard to press the boost’ assuming this means the ‘weapons fire’ button, since boost triggers automatically following a drift? That said there are a number of positives from the video like a ‘good sense of speed’ and the player does seem to be enjoying himself despite it being an early build. Nothing much else new is shown in the video other than maybe some weapons, though we do get our first clear glimpse of the ‘Seaside Hill Monster,’ I don’t know if he/she has an official name yet. My theory? 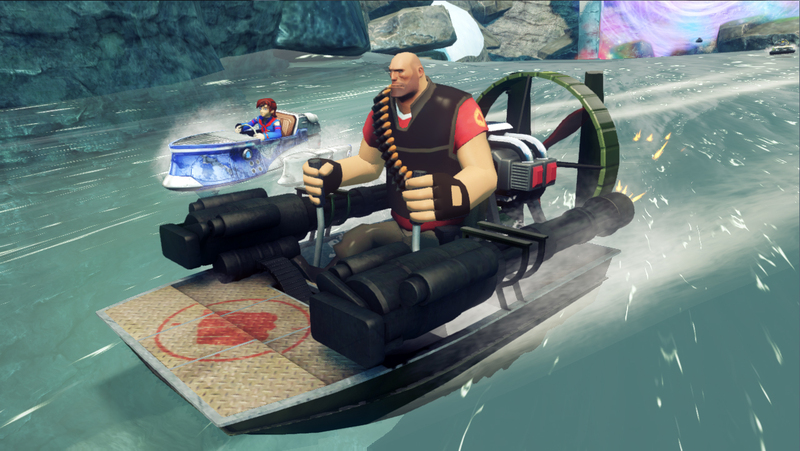 Eggman finally got Nessie. So? What do you think? The comment box awaits! Thanks to FourCartridge for the heads up.